With technology and social media, the world has neither limits nor boundaries. It’s a blessing for all those who use it. However, for some, the cyber world, where laws still struggle to understand it, these endless boundaries come at great costs. Cyber bullying is all too easy for the coward who instigates it. It allows for the person(s) or group to fabricate identity, concoct stories and permanently harm a person’s confidence, shattering their all-too fragile self-image. No matter what angle you take this from, any form of cyberbullying is the coward’s approach and is never, never justified. Unfortunately for some, even when reported to the authorities or to the school for which may be the base of this relentless act of predatory behaviour, the consequences for the target of harassment are all too real. As an adolescent, life is hard enough. Trying to muddle your way through life while coping with new found school, family or work pressures suddenly becomes unbearable when you also have to face bullying from faceless characters the moment you tune in into the Internet. You can always switch off, of course. But in today’s world, switching off generally means opting out of the world around you. It isn’t that easy anymore. In the case of young 18-year-old Brandy Vela, cyber bullying took its toll. Today, her family grieve the loss that should have been prevented, after she fatally shot herself November 29. 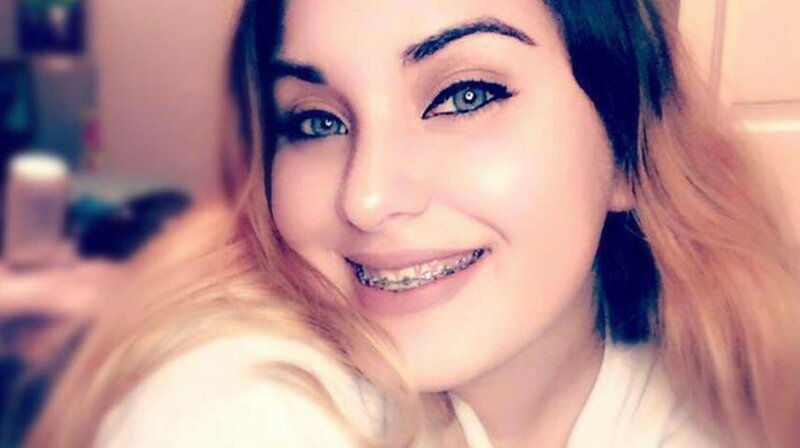 “I love you so much just remember that please and I’m so sorry for everything,” was the glowing teen’s last words to her family. Moments later, Brandy committed suicide in the family’s Texas City home. Not only that, her parents and grandparents witnessed the pull of the trigger. This serves as a reminder to us all, how devastating cyber bullying can be. For the Vela family, there will be no Christmas this year, all because of the constant bullying done through fake profiles led to her death. Every time Brandy connected to the outside world she would have to face messages like ‘Why are you still here?’ Fake dating profiles were also created. Police are investigating the death of Brandy Vela and the bullying claims that had been reported prior to her death, stating that it has now become a “criminal investigation.” Police are asking for anyone to come forward who has information relating to this case by contacting Mainland Communities Crime Stoppers at 409-945-8477. The Crime Stoppers line is anonymous. The investigation will be dealt with under Texas Legislature, under the computer crimes code. Although it doesn’t directly prohibit cyberbullying and harassment, it does deal with “harm, defraud, intimidate or threaten any person.” This in itself, demonstrates the lacking of law for those harassed online. Saying this, laws are currently being reviewed in Texas under the current Legislature, where one under 18 when initially caught bullying online would be charged under a misdemeanour offense. A vigil was held for Brandy Vela last week, where her family and friends mourned the loss of someone who needn’t have reached such dire ends. My condolences to Brandy Vela. But I want to say that people need to be strong, fight against wrong, show your strength because such type of bully in cyber world and in real world exists, but we need to hit them hard.. Never accept wrong, fight for right.